The boss of a Telford removals firm has found one of the best ways to find new clients is to go on holiday – to the same place! 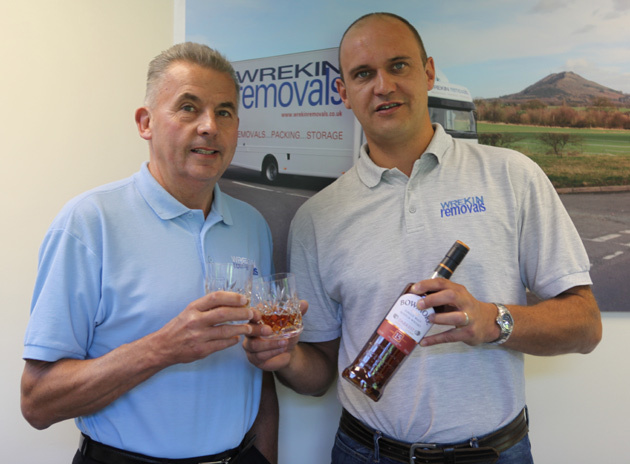 Two years ago,Bill Laurie (left) and his son, David (right) from Telford-based Wrekin Removals went on a whiskey tour to the Scottish islands of Islay and Jura. After arriving early on Jura, which has less than 200 inhabitants, they stopped at the only tearoom on the island and ended up leaving with a job to move its owner and his family to Cornwall. Earlier this year (2013), Mr Laurie and his father had booked a return trip when they took a call from a family looking to move to Shropshire from Loch Gilphead on the Scottish mainland – and on the way to the ferry for Islay. Dave Laurie said: “We thought going on holiday and coming back with a new customer once was unusual enough but to find ourselves doing it a second time when we booked the same trip again two years later is uncanny. “With the first instance, the chap from the tearooms said he had tried several other firms and they had all turned him down due to the two ferries needed to get to Jura from the mainland. “We took it on and ended up moving our truck across the water on a ferry designed to hold three cars. “My father and I then booked another trip to the islands this year and, just a couple of weeks before we were due to leave, we had a phone call from another potential customer in Loch Gilphead who was moving to Shropshire and had found us on the internet. 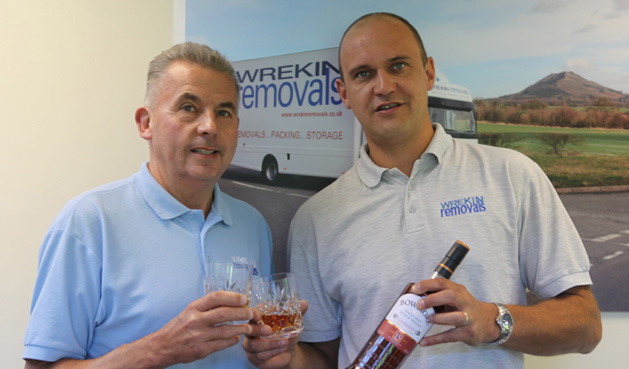 Mr Laurie and his team moved the family in their two largest lorries to Shropshire from the £1.4 million estate in the summer. “I’m starting to think that if the best way to find removal jobs is to actually go on holiday, I’d better book us a third trip soon,” added Mr Laurie. Both jobs also had added meaning for the Laurie family, which also includes Dave’s mum Linda, who had moved to Shropshire from Renfrew, near Glasgow in 1989.